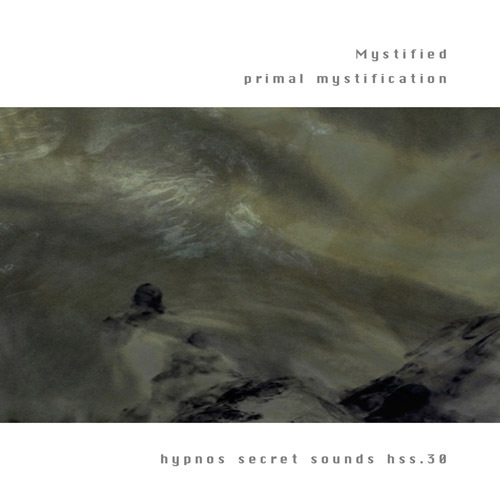 The debut recording on Hypnos Secret Sounds by Mystified, Primal Mystification, combines minimal drone with subtle rhythmic and repetitive components, working together to forge dense, evolving textures that go beyond mere texture. Hypnos and Mystified plan to work together on at least one more release in the future, and we're pleased to be able to help expose this talented and prolific artist to some new listeners. Mystified is a solo project by Thomas Park, who also releases ambient material under the name Mister Vapor. The informational web site of Mystified and Mister Vapor is here, at mystifiedmusic.com. Mystified is an experienced multi-genre band that is more precisely the brainchild of Thomas Park. Mystified has been actively recording since 2002. Rapoon, aka Robin Storey, and Nigel Ayers of Nocturnal Emissions, were nice enough to collaborate with mystified, and mystified's composition and dj-ing skills landed Thomas in 'Spin' Magazine (11/2000, as 'DJ PanMuse').